Before we dive into what makes a name popular, here a run down of the top 5 names for girls and boys in Ireland, 2018. Your baby’s name can really shape the person they become, but no pressure. Not to take it to Katie Hopkins extremes, but the way that people interpret your name can really colour your experience of the world, especially in the formative years. So, once you’ve gotten over the crippling anxiety of determining your child’s fate, you can begin to shop around for a name. Luckily, we’re here to lend a hand so that you don’t have to shoulder this burden alone. Last year, Jack and Emily defended their titles as Ireland’s top baby names, with Aoibhin and Theo making the most progress up the ranks. But where are things heading now? Let’s take a look at some of the current trends happening across the globe to give you some inspiration. This first trend could be testament to the growing influence of TV and Netflix, but our favourite series and movies are beginning to make guest-star appearances in our baby names. In particular, superhero inspired names are on the rise thanks to the Marvel Movie takeover. 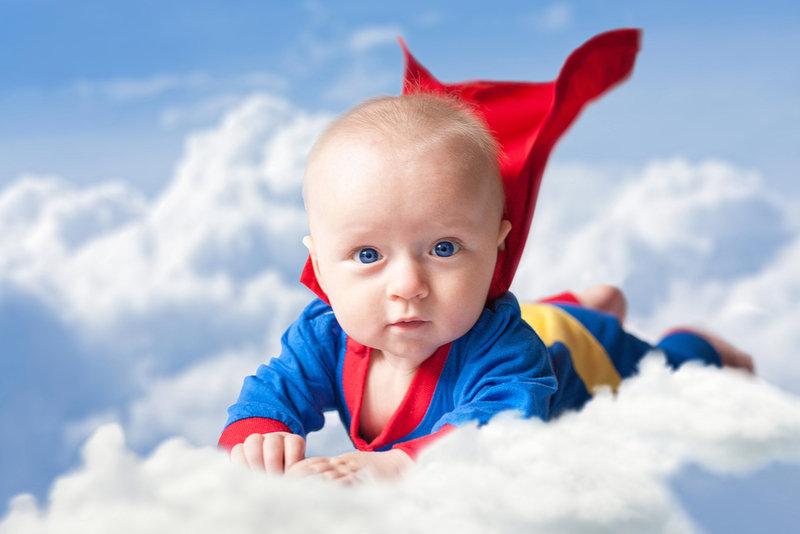 Would you believe that there were 96 babies named Loki in America last year after the Marvel comic book character? Whether Marvel worship to this extreme will makes its way over to Ireland remains to be seen but it’s interesting to see the influence this empire is having. There is a belief that giving your baby a powerful name will determine their fate and give them a great start in life. Anyone tempted by Loki? If you want to get with the times, you can follow the trend of picking gender neutral names for your baby. This is quite a bold move so we’ll have to look to fearless celebrities who have been doing this for years. You’ve got North, South and Chicago, and that’s just Kanye West’s family! We’re also seeing a particular rise in the popularity of boyish abbreviations for girls, such as Charlie, Mattie and Frankie. These are cute, fun and interesting. They are also a nice way to honour male relatives in a more neutral way. This trend is big in America and possibly dates back to the 1980s when Madison, the lovable mermaid from Splash made her way onto our screens. Since then our appetite for second names as first names has gone through various highs and lows. Names like Dylan, Jackson, Kelly and Flynn have all been fully embraced as first names but are there any less traditional names coming up the ranks? The Huffington Post recently published a listicle of Irish second names that would make great first names. Fitzgerald, Delaney, Murphy and Rooney have made the list. These might be a bit too close to home for us, just imagine the confusion! We know the predicament, you’re beginning to warm to a baby name but also afraid it may become too common. Well, you can now put your fears to one side thanks to the ‘Alternative Name Speller’. We think Irish names are tricky enough to spell as it is but who are we to judge? In search of absolute individuality, Irish names with their hard-core spellings are taking off in America, especially for little boys. Names like Rónán and Bran (another character from Game of Thrones) are proving popular state-side. Does this mean we need to look further afield to keep up with exotic baby names? Finally, between 2017/2018, the intense coverage of global news had a huge impact on our thinking and taste. Globally, names like Harvey plummeted massively due to the Harvey Weinstein controversy. Whereas strong female characters like Saoirse Ronan were single-handedly responsible for the boost in ‘Saoirse’ as a name in America. Reports say they’re seriously struggling with the spelling and pronunciation so that may take some getting used to. You might believe that this is a trend reserved for the impressionable Americans but we Irish are no different. There were a reported 39 Rhianna’s in 2009 and Harry was the 7th most popular name in Ireland in 2017 thanks to those diehard Hogwarts devotees. What’s next? We’ll let the news decide.